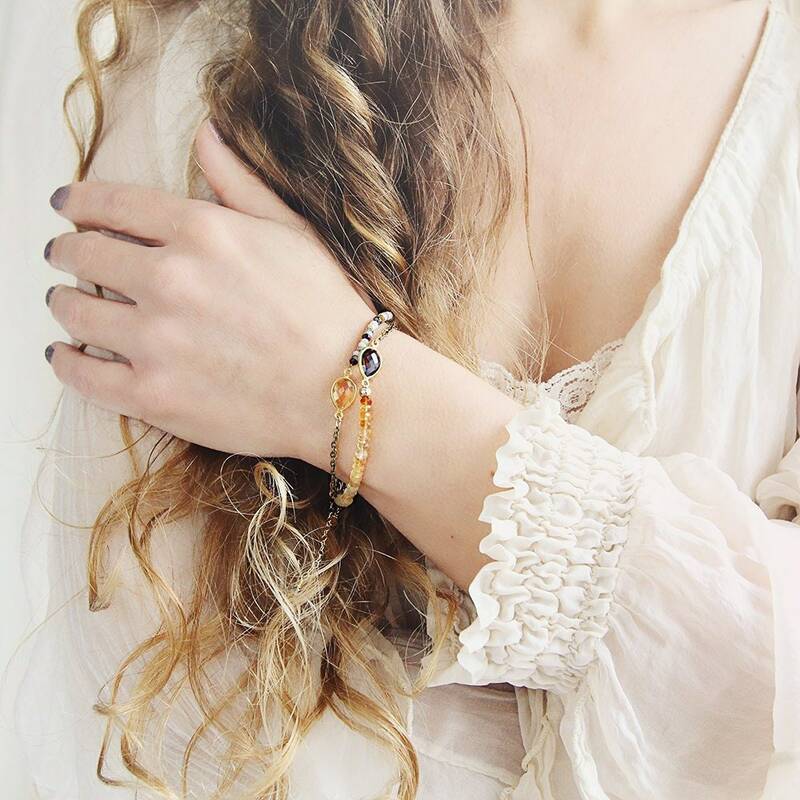 This beautiful citrine and opal bracelet will bring effortless elegance to your look, and a touch of natural charm to your wrist. 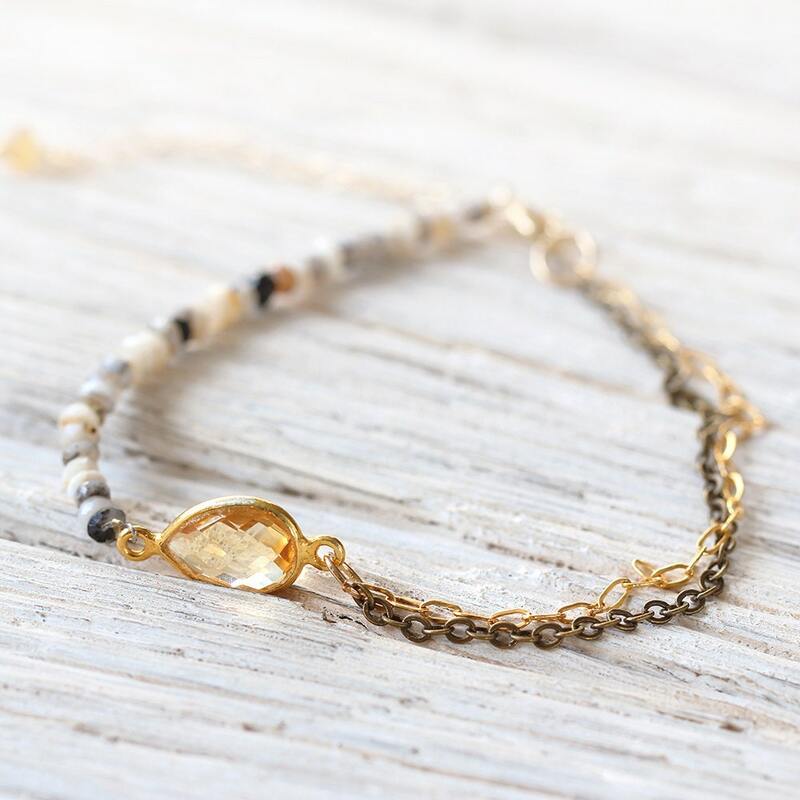 Wear this cheerful October / November birthstone bracelet alone or stacked with others. 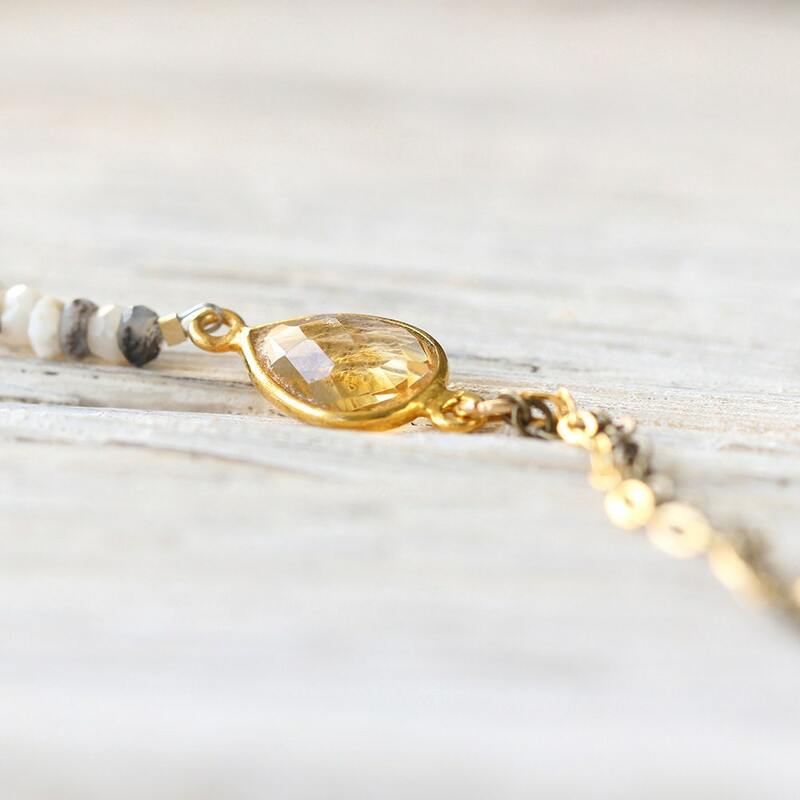 The lovely shades are reminiscent of the colours found at the beach - the colour of soft golden sand, little shells in greys, whites and cream, and the sunlight sparkling on the rocks. 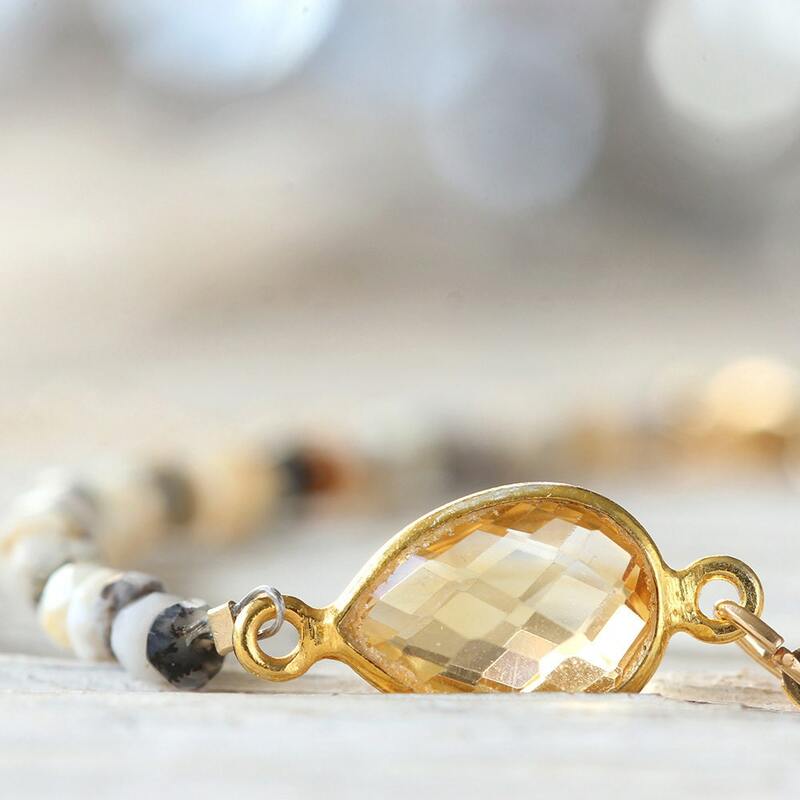 Regardless of where you spend your days, this gemstone bracelet will help you feel connected to nature whenever you wear it. 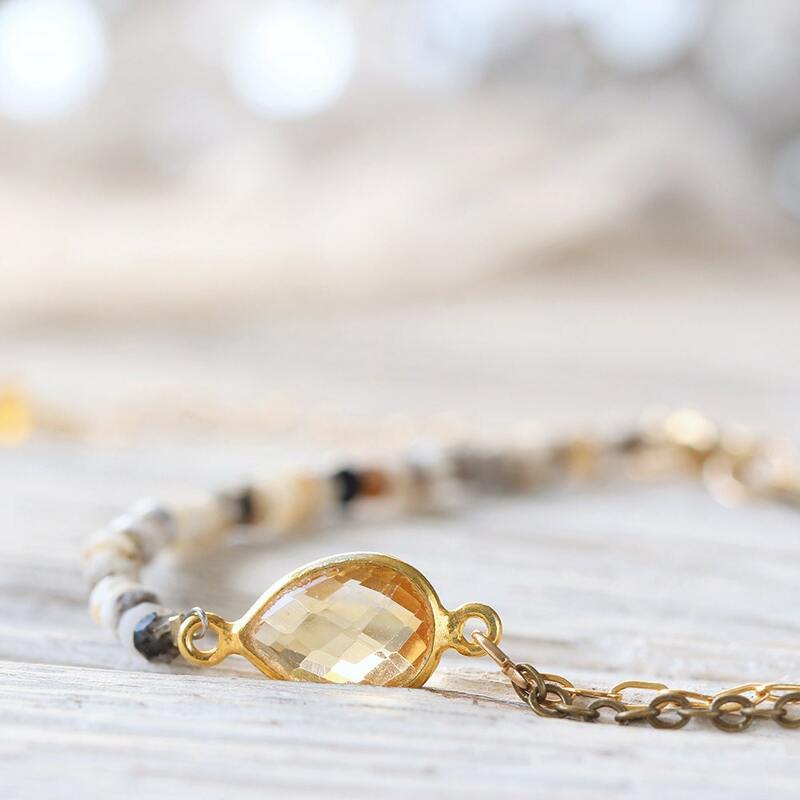 The centrepiece is a sparkling citrine stone set in gold vermeil, and chains drape sensually on the other side of the bracelet (one in gold fill and one in bronzed brass), adding a unique element to the design. * opal beads measure approx 3.5mm. * citrine stone measures approx 10mm.